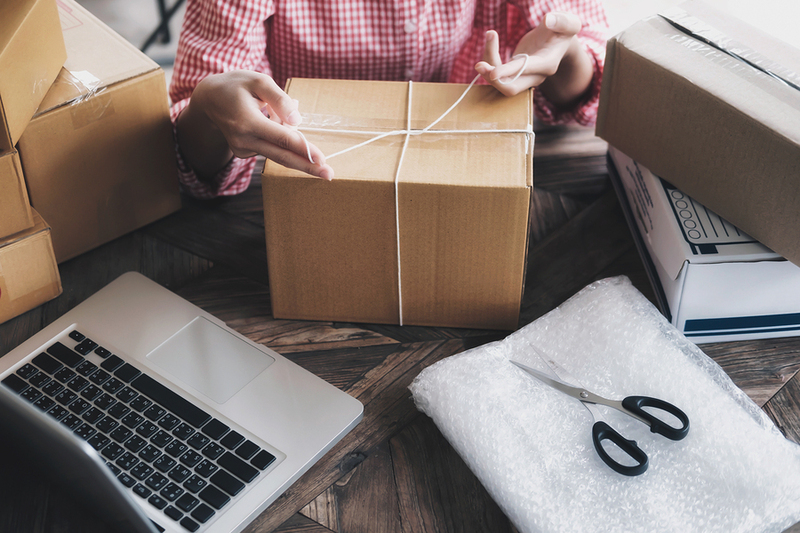 The subscription box business model is incredibly popular (and for good reason), but is it right for you? Ask yourself these 7 questions to find out. What is the most exciting part of starting a business? Apart from the exact moment of launch, I think that the planning phase makes every entrepreneur’s heart beat slightly faster. Some of my fondest memories are from the brainstorming phase when initial ideas are forming a new business. The rush, the excitement, the possibility. It really gets me fired up thinking about it. I remember one specific project where I must have looked like a crazy person, with notes stuck all over my walls. Those were the days! Of course, initial enthusiasm is often quickly replaced with the challenges of reality. Furthermore, most of the young entrepreneurs’ problems I’ve seen are related to poor planning. Many people tend toward over thinking things when trying to craft a perfect business plan. So, the planning stage can feel high stakes. To avoid these extremes, there are several questions which we use at Subbly whenever someone is either considering a subscription business model or just getting started. These questions emerged from personal trial-and-error experience and a bit of clairvoyance. Hopefully, they’ll empower you to enter the world of subscriptions more smoothly. 1. Could your business idea work with a subscription model? Introducing the inception of planning—the question within a question, all wrapped up in another question. First, during the brainstorming stage, think of the purpose behind your idea. Would your business make your customer’s life easier? What kind of convenience could it bring to the subscriber? Is there an issue/pain point your business will be solving? How simple is your idea—is it straightforward and practical? Could you perform such a hustle for years, maintaining the same passion and dedication throughout? Is your business idea focused mainly on product promotion, or the service through careful experience design? Take any subscription company, no matter the niche and size—chances are they’re making people’s lives easier in some way! Maybe they are providing affordable razor blades in a convenient manner that saves customers money, and also solves the pain point of forgetting to pick up blades. Or a subscription makes it fast and simple for pet owners to ensure their furry little friend will be well fed, groomed, and entertained. Basically, if your potential offer doesn’t save the subscriber’s time, energy, or money, or if it doesn’t enrich their life in some way, then it wouldn’t work well with a subscription model. 2. Do you prefer long-term relationships or short-term experiments? Imagine that every day, week, or perhaps month, a delivery is shipped to the customer, and the shipment itself communicates with the receiver in some way. How is it possible that something physical like a package can even communicate? Simple: through the package’s shape and design, but also through explanations and the product arrangement and choice. That is the other way of business-customer ongoing interaction. In my experience, when talking with hundreds of subscription business owners each month, I always hear how stressful it is around shipment day (in terms of customer support). They have to handle an influx of shipment queries, billing questions, cancellation requests, and more. In addition, customers are reminded of your business around the time of re-billing and shipping. What makes operations easier is knowing that subscription businesses are all about developing long-term, ongoing relationships. In particular, the quality of your customer service is a determining factor in whether your subscriber base will expand or shrink. So, if you are not ready to dedicate your time and efforts to such an endeavor for a longer period of time, consider shorter hustles instead. Pick your poison, fellow entrepreneur! Finally, if a subscription box business model attracts you, know that it’s harder to stop a subscription venture than a non-subscription one. Due to the nature of the business model’s repetitive shipping intervals, customers expect uninterrupted service. 3. Are you prepared to make a larger upfront investment of time and money? What does a larger upfront time investment mean in this case? Well, the initial period of trial and error might last a bit longer for subscription biz. Unlike other business models, setting up and structuring of the subscription takes the most time and resources. Later on, when recurring payments are established, the situation changes. Honestly, a significant amount of time might pass before you acquire your first (loyal) customers. This is due to the fact that you will need to first set up your website and logistical operations, and determine the best channels and places to source customers. This process takes time to optimize sometimes, unless of course you’re a marketing wizard with lots of experience (in which case this might be easy for you). Later on, as the number of your satisfied subscribers grows, the creation of a long-term business with predictable revenue becomes possible. But when you’re just starting out, plenty of learning and certain financial investment is involved. Luckily, it is needed only while you figure out the margins and recover the cost of acquiring customers. I wouldn’t advise someone who wants “quick wins” to dive into a subscription business; it’s not for the faint-hearted. But, with that said, you can always do more with less. This is a mantra I live by. I bootstrapped Subbly by building an MVP (“minimum viable product”). In short, this means the most basic product that we could build and release to the public to get feedback and to validate if people want it and are willing to pay for it. I am a huge advocate for the lean way of starting and running a business. There are plenty of ways to validate your business model and the demand or desire for it. You could run a pre-launch campaign, throw up a landing page with an email signup form saying you’re launching soon (but make it clear what you’re offering! ), or you could even make a simple mock website with a button that simply tracks the number of people clicking a “subscribe” button. All of these options are lightweight and will allow you to gauge interest with minimal up front investment and time. You may need to do a little spending on ads to drive relevant traffic to run your validation tests. But bear in mind, after this, you have to invest in a subscription business to get it off the ground. Remember, you can always do more with less. 4. Do you enjoy innovating and thinking outside the box? Every entrepreneurial (ad)venture requires a certain dose of creativity. Subscription (box) commerce is a relatively new business model, which requires a true entrepreneurial spirit and seriously—a lot of creativity. Think of the mystery boxes, for instance. This concept is one of the most popular subscription business models nowadays. Each month, a subscriber receives a carefully curated package of products, without knowing what brands, nor which combination of items will arrive. One of my personal favorites was back in the day when Fancy used to do subscription boxes (they might still). When I was doing the research for Subbly, I was inspired by the way they used to curate amazing products into themed boxes each month. Pure awesomeness. Each month they had a different theme which kept it engaging and exciting, like a mystery, where you want to know what’s coming next. Their products were great—not all useful, but pretty to look at and good quality, and the value of the box itself was always clearly far greater than the amount I was paying for it. Added value is a must. Also, one of my favorites, ScoobyBox, does the same sort of product curation, but for your dog—and well, who doesn’t love dogs? Receiving a subscription box feels like getting a birthday present, and I’m one of the people who believe dogs should experience that thrill too. The quality of the products in ScoobyBox are top notch. They really care about giving only the healthiest treats for their customer’s dogs and the toys they include are durable and exciting for the dogs. Not only that, personally dealing with the founders, I know they really care and are determined to put smiles on as many dogs and their owner’s faces as possible! You can’t go wrong with the passion for your cause. A nice example of creativity comes from a company you may have heard of called Graze Box. They offer weekly snack boxes and are pretty popular in the U.K. Graze Box designed the packaging using the exact dimensions of a letter box in the U.K. This meant cheaper shipping, no need to sign for the delivery and happier customers. Isn’t that brilliant? Either for subscription box ventures or any other kind of subscription business, a healthy dose of imaginative, flexible, out-of-the-box thinking is more than welcome. Therefore, my friend, if dull tasks make you smile, by all means, avoid subscription as a model for your soon-to-be-exploding business. 5. Does the idea of making people happier make your heart beat faster? Business owners often tend to place the product, not the customers, under the spotlight in their business. You’d be surprised at how many calls I have with customers and entrepreneurs who come to me with “the best idea/product/concept ever” and haven’t taken a second to think about it from the customer’s perspective. I would never want to curb enthusiasm, but perspective is the key here—and so is being realistic to ensure success! Of course, I’m aware the product is important, but remember that subscription is essentially a service, not mere product peddling. In other words, when it comes to subscription, customer service (and building trust as well) actually is your product. A happy customer is a returning customer. First, some sub boxes elicit smiles just by name—just take Positivity Pack as an example. Each of the five products in each box is curated to make someone’s day by being funny, uplifting, or stress-relieving. Next, the product curation process, when done well, will satisfy your customer (imagine a perfectly chosen and eye-pleasingly arranged combination of products). Finally, a magical moment—the long-anticipated delivery! Just like a birthday present, picture your subscription box being unwrapped with care and anticipation. Do your best to create a memorable experience, instead of merely packing and shipping a selection of products. So, the products are a given, but if you believe customer support, satisfaction, and more importantly, delight, are crucial, then subscription might be for you. After all, this is a customer happiness business model in many ways! Usually, subscription business owners do not have money on their mind (first) but understand how both profit and progress naturally emerge from a joyful, mutually beneficial service. 6. Are you passionate about internet marketing? Running a subscription ecommerce company is going to require sharp online marketing skills. Though marketing is fun, it is a roadblock for many people starting out. It’s almost like a writer’s block, or the fear of how to get started. Fortunately when I launched Subbly, I had experience from running a marketing agency. Right in the initial stages, I told my partner to spend time working on content for our SEO strategy, and to make it engaging. We spent months on our blog content with guides and informative articles on how to start a subscription box, and the effort eventually paid off. Our basic SEO strategy involved writing the aforementioned high-quality content, but also optimizing our website and blog’s HTML for search engines, and some basic link-building to kick start things. Learning about these SEO tactics is critical if you want your subscription business to flourish. Begin by asking yourself: Is it worth it, or should I stick to offline marketing methods? Honestly, I feel uncomfortable even putting online and offline marketing into the same sentence. The first one is by far the fastest, easiest, and definitely the cheapest option. 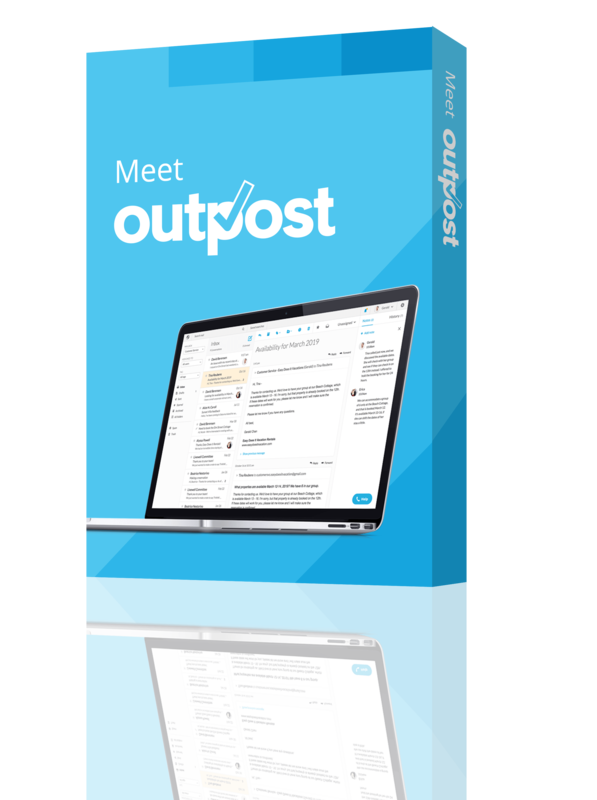 With an extensive email list, well-crafted landing pages, enhanced with a raving community on social media, your business is destined to grow. The second layer of your growth will naturally happen through customer recommendation (a perfect example are videos of excited customers unpacking their boxes and gladly sharing their experience on social media) and referrals. Keep in mind that refer-a-friend campaigns can be super effective. Now, if online marketing sounds scary or even repulsive to you, consider the fact that offline marketing options might also bring some success, but not nearly as much as the online ones. For example, if you have an existing brick and mortar store, you can encourage signups there. Plus, whatever online campaign you pick, it will probably both cost less and bring better results than her offline siblings. The great news though is: although somewhat challenging, online marketing is unbelievably fun, even addictive! Can you tell this topic is the one I’m passionate about? It takes time, but keep persisting and aim for quality and standing out. Trial and error is the key. I’ve made my fair share of mistakes. One of which was taking my eye off the ball and trying to do too many things. That is how I learned to focus, measure, learn, and repeat. 7. Do you dislike all forms of routine? With an up and running subscription business, you can literally work from anywhere and only need to ship once a month (or whatever your cycle is). You could also outsource the fulfillment! But, let me be brutally honest: the routine in subscription businesses still definitely exists. You’ll need to be consistent primarily with acquiring customers and with ongoing, often dynamic customer service. I think of this business model as a nice lifestyle business, but with a healthy dose of repetitive tasks included if you really want to succeed at it. When I’m crafting my own working schedule (yes, entrepreneurs have that too and it does keep us sane), I tend to pick one or two main tasks per day that move the business forward, and then I always leave some room for the repetitive tasks that are boring (but necessary). I also make sure to reward myself because I personally find repetitive operations hard. But we’re all different—the crucial step is to figure out what works for you. Really, whatever your business-related schedule is, you can make it fun by mixing up your routine. There’s lots of evidence to show that routine is good for you, but so the occasional change of pace. So feel free to travel and coffee shop hop! Another thing I recommend is trying to change up your perspective. Talk to someone you look up to and ask about how they manage their day. It can bring some interesting refreshing insight. Perspective is almost more powerful than action, as perspective can change and cause action. Sometimes though, the simplest hacks are the best. For me, to avoid feeling “stuck,” simply going to work from a new coffee shop can make me feel like I’m exploring, which is energizing. Do things that recharge you because, in the end, you’ll need that energy for the grind. I’m sure you’ll agree with me on this one: Most shopping will be done online in the near future—and subscription ecommerce will be a vital part of it. Speaking of the future, I believe that (almost) anyone can find some benefit in a subscription business model, especially if service satisfaction is the focus. Surely there are as many types of subscription businesses as there are entrepreneurs who stand behind them. Every business is unique. But if you think the long-term and highly rewarding subscription model or subscription box model might be the right one for you, why wait any longer? Get it up and started! I’ll be waiting to help you out. For more on starting and running a subscription business, see Bplans SaaS business startup guide, as well as this curated list of subscription business resources. Stefan is a founder and CEO of Subbly, the management and education platform for a subscription business. He is focused on sustainability through profitability, and devoted to sharing lean business principles with future founders through writing and speaking.